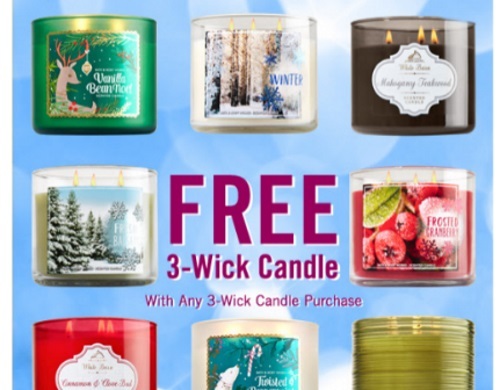 Bath & Body Works is offering a Free 3 Wick Candle when you purchase any 3 Wick Candle plus get 30% off any $30 or more purchase with the coupon below! Show the coupon at the link below on your mobile or print it to show the cashier. Offer valid until Sunday November 6, 2016.